“If you are considering seeing a therapist, I honor your courage because life is full of challenges. Relationships bring challenges. I believe that as human beings, we were designed for relationship. Sometimes, being in relationship with others brings us great joy and sometimes it brings us incredible pain and suffering. Yet, we are all drawn to relationship and it is a constant classroom” in our lives. Through relationships we had early in life, we learned about ourselves and began to trust and distrust both self and others. We developed styles of relating with others that helped us survive disappointments, pain, loneliness, abuse, and rejections. However, those same strategies that helped us survive sometimes end up working against us later in life by the challenges they bring to our relationships—especially with those we love who are closest to us. Therapy can be a helpful tool to look at those strategies and how they are affecting our relationships in adulthood. I view the counseling process as forming an alliance with you to explore the nature of your problems and how they are affecting your relationships and the quality of your relating with yourself and others. I am a person with many different relationships in the classroom of my own life. I am a daughter, friend, wife, mother, grandmother, nurse and therapist, to name a few. I am honored to come alongside you and help you process, learn and grow from the painful issues in your life. in emotional discomfort for any reason and willing to seek help. willing to engage in a meaningful working relationship with me. This is called the therapeutic relationship. willing to look at your own strategies and underlying beliefs about how life works. willing to explore your feelings and what they may be indicating needs attention in your life. willing to risk affirming yourself in truth in love. For adults who have a history of childhood/adolescent sexual abuse: I have received extensive training in the therapeutic treatment of adults who were sexually abused as children or adolescents. I provide a safe haven to process these issues. 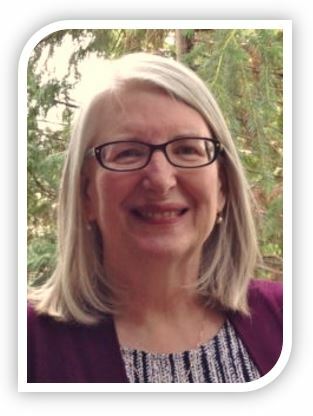 Kathy works with adults and couples in our Woodinville and Redmond Annex offices. M.A., Counseling, Mars Hill Graduate School (currently named The Seattle School of Theology and Psychology), Bothell, WA. M.S.N., University of Washington, Tacoma, WA. B.S.N., Seattle Pacific University, Seattle, WA.